Manufacturer: Carter’s®, of Atlanta, Ga. Hazard: The plastic center of the decorative snaps on these garments can detach, posing a choking hazard. Incidents/Injuries: Carter’s has received 14 reports of snap centers detaching. No injuries have been reported. 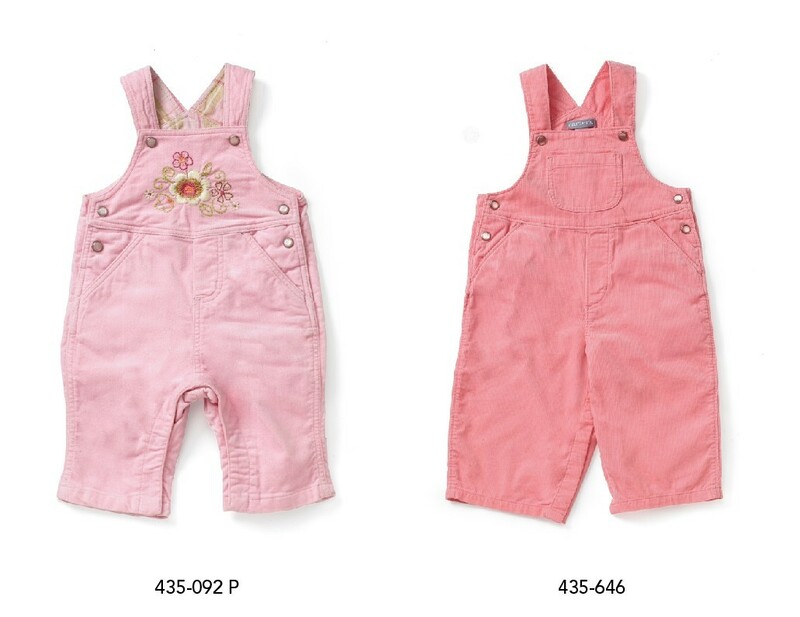 Description: The recalled overalls are pink corduroy with decorative snap fasteners at the waist and shoulder straps. The light pink overalls (style 435-092) have a floral embroidery design on the chest. The dark pink overalls (style 435-646) have a single patch pocket on the chest. “Carter’s” is printed on a tag sewn into the back of the garment. Sold: Style 435-646 was sold exclusively through Carter’s retail stores from July 2004 through March 2005 for about $26. Style 435-092 was sold through Carter’s retail stores and other retailers nationwide from August 2004 through March 2005 for about $28. Manufactured in: Style 435-092 Thailand, Style 435-646 China. Remedy: Contact Carter’s to receive a refund.